As May comes to a close and we pull out the summer clothes, plant new gardens, and start prepping for trips to the beach, weekend getaways, and get the kids ready for whatever adventures they will have, don’t forget to include your best canine buddies in your plans. There are some great pet events in June that you and the whole family will enjoy. You’ll meet other pet owners, organizations, and have a tired but happy pup at the end of the day. Check out some of the events listed below and if you’re not near these, check with your local humane society and newspaper for local pet events. Dog-A-Thon Festival & Walk for the Animals! Haven Humane Society’s 4th Annual Dog-A-Thon Festival and Arts and Craft’s Faire Walk for the Animals is set for June 2nd , 10 a.m.- 3 p.m. at Haven’s pet walking trail. It will be an exciting and action packed day with demonstrations by Hennigan’s Spinning Frisbee K9s, sheep herding dogs, contests, and doggie participating events. For information about vendor booths and walking registration call 241-5262 or visit their website. Wollman Rink – mid-park at 63rd st.
On Thursday June 7, go home, get your dog, and head to Central Park. Meet the other dog lovers in your community and enjoy some light snacks and refreshments all courtesy of Central Park Conservancy’s Central Park Paws. There will be some experts on hand to offer tips and training methods if you have questions on how to help your dog become the best dog she can be. Learn how you and your dog can play a vital role in maintaining the Park as a dog friendly environment—all while enjoying the Park, your neighbors and of course, your best friend. To learn more or volunteer, visit www.centralparkpaws.org. This is an on-leash event. 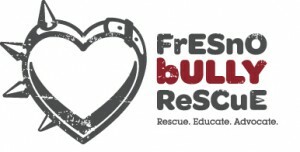 Fresno Bully Rescue, a local non-profit, NO-KILL dog shelter specializing in bully breeds will be holding its BULLY WALK 2012 at the Mountain View Picnic Shelter at Woodward Park. This is a fundraising event and all breeds are welcome! Walk with your dog, but you don’t need a dog to participate, and help save lives. Please do not use retractable leashes as they can tangle and trip up other walkers and dogs. The walk starts at 10am and there will also be games, prizes, food, and vendors with information and educational literature. Everyone who participates will receive a free shirt and raffle ticket. For more information call 559-276-7611.